To help you realize your business intentions through the unwavering attention to your occupational safety, security and emergency response team needs while providing a balance between production and safety. Our strength lies within the expertise of our personnel. We employ highly-educated and skilled individuals to provide our clients with the utmost attention, devotion, and dedication. Quality of service is the foundation of our practice. We place our name and reputation on every project. We keep our clients fully informed at all times with current and accurate information so that they comprehend all aspects of cost associated with solutions before we solidify any commitment. It is our promise that there will not be hidden cost or inflated consulting charges. We meet or exceed each of our goals and promises; otherwise, we do not make them. We do not take lightly our commitments. Adhering to our statements and promises is not a point to be pondered at Health and Safety Sciences; it is an automatic reaction. To provide a portal to world class safety, security and emergency response team professionals – always keeping a balance between production and safety. 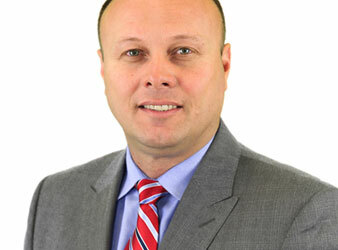 JP Pennington began his safety career in 1992 and is the founder and CEO of Health and Safety Sciences, LLC. JP is a Board Certified Safety Professional, Registered Professional Industrial Hygienist and a retired 25-year veteran of the fire service. Kyle is a Certified Safety Professional through the Board of Certified Safety Professionals, serving HSS as the District Manager of the Cincinnati, Charlotte, Lexington, Louisville and Owensboro offices. 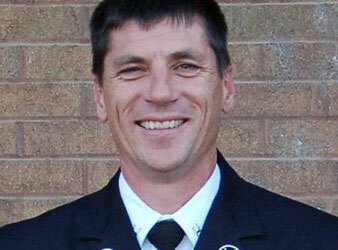 He has been involved in the health and safety field since 2005 and in the fire service since 2001. 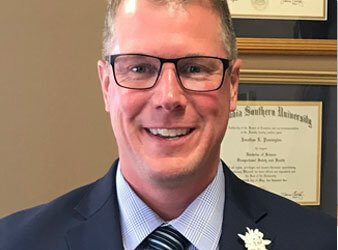 Kyle holds a bachelor’s degree from Eastern Kentucky University in Fire & Safety Engineering Technology and Graduate Certificate in Occupational Safety and Health from Columbia Southern University. Kyle is an Authorized OSHA Trainer for General Industry 10 & 30 hour courses and a Captain with the Louisville Fire Department. He is assigned to a tactical rescue company, which provides high-angle, dive, confined space and other technical rescue services to Louisville and the surrounding area. 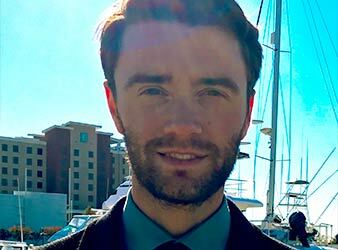 Request a CV by email or view Kyle’s LinkedIn profile. A hands-on professional with eight year’s experience in the areas of Occupational Safety and Health, Risk Management and Safety Training. 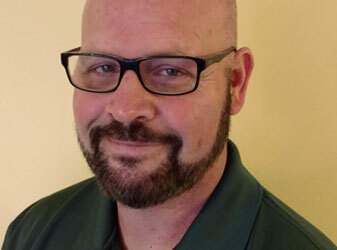 Conscientious Safety Professional with eight year’s experience in general industry settings providing safety prevention programs, safety audits, confined space permitting, hot work permitting, new hire/contractor safety orientation, incident investigation, Incident Command System and safety policy development. Focused and results driven professional, with the ability to quickly establish confidence and rapport through an assertive and caring manner. Track record of strengthening firefighting and rescue operations and success in providing the community of Louisville, KY with 23 Years of Excellent Public Service. Dedicated Fire Battalion Chief with 23 years of progressively responsible experience in the public service area. Strong qualifications include training, emergency response, resource management, public safety, budgeting, and personnel affairs. Well-developed leadership and analytical skills as evidenced by the ability to continuously improve fire/rescue operations and emergency medical services. Reputation for strong worth ethic and uncompromising devotion to service. Shane is the Regional Manager of HSS Charlotte office. He also serves the Mooresville Fire-Rescue Department as the Deputy Fire Chief. He is currently an adjunct faculty member for Eastern Kentucky University’s Safety, Security and Emergency Management programs as well as an instructor with the OSHA Training Institute. Shane is an OSHA Authorized Outreach Instructor for both construction and general industry. Prior to his employment with the Town of Mooresville he was employed with Eastern Kentucky University’s Fire and Safety Engineering Technology program for 8 years. He served the role of Assistant Professor as well as the On-Campus and On-line Program Coordinator. He has served with Cherryville Fire Department and Crowders Mountain Fire Rescue in the past. Raco is the Regional Manager of Health and Safety Sciences LLC., in Lexington, KY. She has almost 20 years of professional safety experience in the safety field and has served in numerous capacities, including Safety Coordinator, Safety Specialist and Safety Manager. A few of Raco’s areas of expertise include OSHA compliance, safety training, building a Zero incident Safety Culture, and developing and writing safety programs. Raco graduated from Murray State University with a Bachelor’s degree in Occupational Safety and Health. 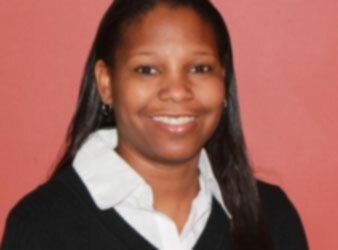 She is a Certified Safety Professional and a professional member of ASSE. Raco is very passionate about safety and accident prevention. Whether it’s compliance, employee training, accident prevention, etc., Raco has an array of knowledge and experience to help you meet your goals. Jeremy is the Business Development Manager for the Ohio, Indiana, Northern and Central Kentucky markets. 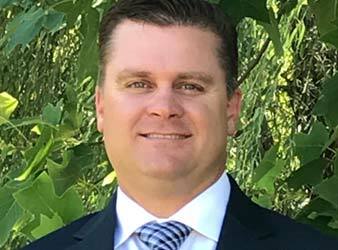 Having spent years in safety, operations and human resource departments with other companies, Jeremy thoroughly understands the obstacles our clients face when it comes to making decisions about the importance of safety in the workplace. Jeremy holds a degree in Environmental Engineering Technology from Cincinnati State and resides in Cincinnati, OH with his wife, Beth, and daughter, Rian. Steve is the regional manager of the Cincinnati office of HSS. He has been involved in the safety industry since 2011, first as a member of the HSS confined space safety team and then moving in to the manager position in 2013. Steve holds a Bachelor of Science degree in Criminal Justice from the University of Cincinnati and a Master of Science degree in Safety, Security, and Emergency Management with a Fire Science Concentration from Eastern Kentucky University. Steve has over 25 years in the fire service with over 22 as a career firefighter with the City of Middletown Fire Department where he currently serves as the EMS Operations Captain. Steve recently completed the Executive Fire Officer program through the National Fire Academy. He is also a member of the Butler County Technical Rescue Team and the Butler County all Hazards Incident Management Team. Steve is OSHA 30 certified as well as IMT 100, 200, 300, 400, and 700. Mike serves as the Owensboro, Kentucky Regional Safety Manager. He has been involved in the Health and Safety field since 2004. 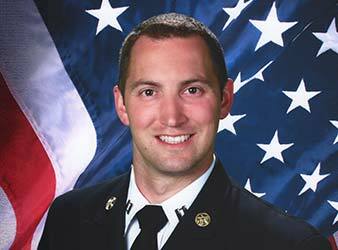 Mike holds a Bachelor of Science in Fire and Safety Engineering Technology and Master of Science in Safety, Security, and Emergency Management from Eastern Kentucky University. Mike’s broad experience in the safety field spans everything from performing confined space rescues to developing and teaching safety programs and performing safety audits. Mike is a devoted Sergeant with Louisville, KY, Division of Fire and Rescue. He brings 15 years of fire service technical rescue experience to the table and applies this hands-on background expertise to improving the safety culture in the private industry. 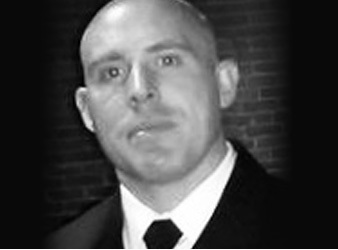 Joe is the Regional manager of HSS Chicago, and lead Active Shooter Consultant for Talon Group. While serving over twelve years in the Marines, most notably under the Marine Special Operations Command (MARSOC), Joe was deployed seven times in support of Humanitarian Aid, and Combat Operations throughout the Middle East and Western Asia. During his tenure with the Marines he served on several Multi-Agency and Multi-National Joint Task Forces; under which he was awarded due to actions in combat. He received his Bachelor’s Degree in Homeland Security and Emergency Management with an emphasis on the effects of religious prejudice and domestic terrorism. He is a certified Emergency Medical Technician with pre-hospital trauma experience, and highly trained in Tactical Combat Casualty Care (TCCC). He is a certified NRA firearms instructor, and licensed to instruct Conceal Carry Handgun training. He has been qualified as a NAUI certified Rescue Diver, and an official member of the United States Parachute Association (USPA). Joe has also been trained in Survival, Evasion, Resistance, and Escape (SERE) practices at the US Government’s highest levels of proficiency, and is an expert at Risk Mitigation, Weapons Handling, Surveillance, Operational Planning and proficient with Intelligence Analysis. Currently Joe is continuing his education under the Joint Special Operations University and is preparing to undergo the Board of Certified Safety Professionals ASP exam. He is also working on new, progressive methods to increase safety and survival in an Active Shooter situation; detailing highly simple yet highly effective courses of action derived from his experiences with insider threats overseas. For more information about Active Shooter Consultations, or any information at all please feel free to contact Joe at any time. Health & Safety Sciences, LLC is committed to leading the safety, security and emergency response team consultancy industry in minimizing the impact of its activities on the environment. It is the belief of HSS team members that environmentally friendly actions are the responsibility of every company doing business in the world today. It is our belief that the environment can only be preserved for future generations by good stewardship of Earth’s resources by companies and citizens alike. We are committed to being a part of this team effort. Minimize waste by evaluating operations and ensuring they are as efficient as possible – this includes operating as paperless as possible. Actively promote recycling both internally and to HSS clients and suppliers. Seek every opportunity to utilized recycled products in HSS everyday business activities. Ask our clients to accept digital copies of project related documents and student training manuals verses printed documents. Taking your specific corporation’s requirements into account, we offer consulting, development, and solution implementation. Our health and safety professionals hold a variety of advanced certifications. These include Board Certified Safety Professional (CSP), Associate Safety Professional (ASP), Registered Professional Industrial Hygienist (RPIH), Certified Fire and Explosion Investigator (CFEI), Certified Industrial Hygiene Manager (CIHM) and Certified Industrial Hygienist (CIH). Our competent, responsible staff are available by phone Monday through Friday 8am-5pm EST. HSS is available for consultation, design, implementation, and evaluation of results for all aspects of your company’s health and safety goals. We can help you with all your health and safety needs via an annual retainer fee or you can have pricing based on a project basis. Turnaround Safety Services for Plants are priced by geographical location. Our consultants use academic and scientific principles to develop custom solutions for your health and safety needs.